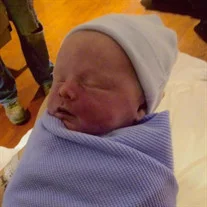 Jaxon is survived by his parents; two brothers, Austin Osborne and Trentin Lewis; and several other loved family and friends. A graveside service to celebrate Jaxon Bradley Curl will be conducted at 10:00 AM on Monday, November 19, 2018 at Happy Valley Memorial Park with Reverend Ronnie Campbell, officiating. Pallbearers will be selected from family and friends. Those wishing to attend the graveside service are asked to meet at Tetrick Funeral Home of Elizabethton at 9:15 AM on Monday, to go in procession. Friends may call at the residence at any time. Jaxon and his family are in the care of Tetrick Funeral Home, Elizabethton. Office 423-542-2232, service information line, 423-543-4917.